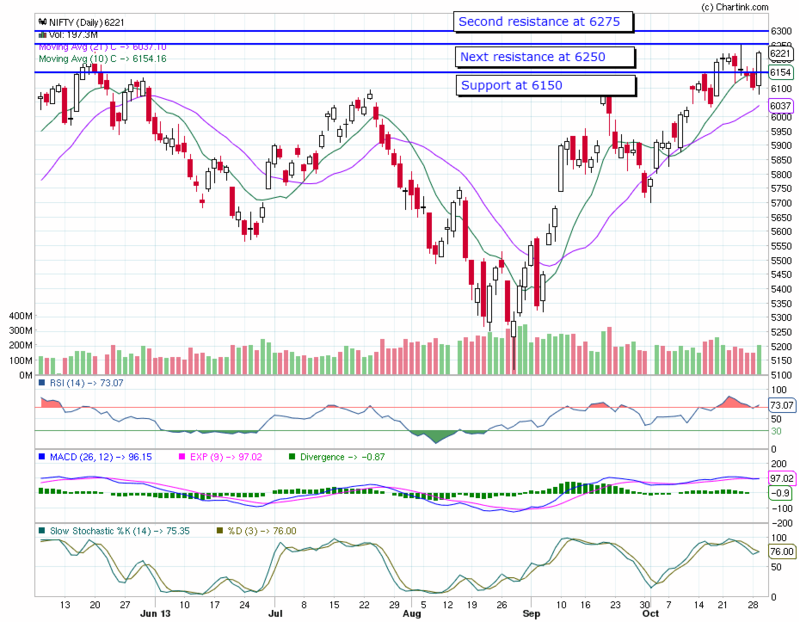 Nifty made a good upmove today and reached upto the critical resistance level of 6230 and closed below it. Tomorrow, the market will cross this resistance on opening since the global markets are rallying at the time of writing this.However, please watch out for the next resistance at 6275. Volatility will be high for the next two days due to derivatives expiry. 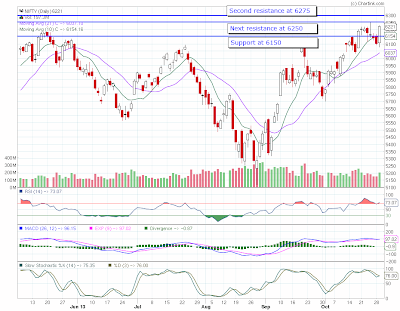 For the trading on Oct 30, Nifty should be above 6200 to be positive and above 6250 for bullish momentum. On the downward side, supports are placed at 6175 and 6150. Any day the level 6150 is breached on the lower side, please be prepared to see lot of profit booking. Did you make money trading this week ? Which stocks to buy now ? How was your trading last week ?